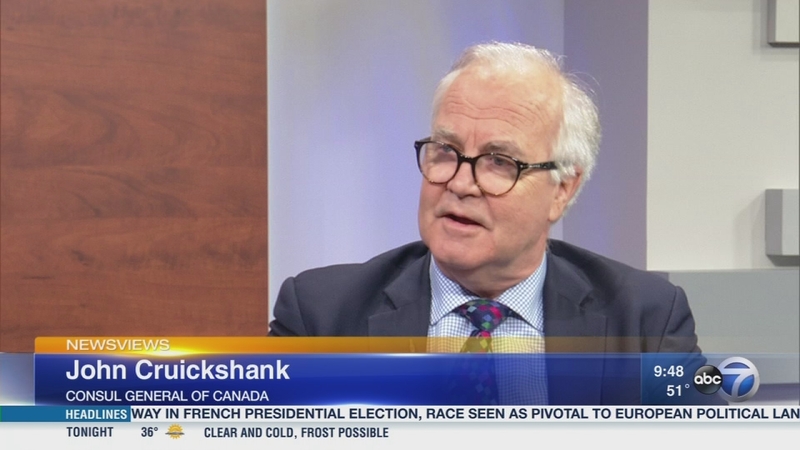 CHICAGO (WLS) -- Canada isn't just our neighbor to the north, it is also a major trading partner, not just for the United States but also for Illinois. According to the state, Illinois companies exported more than $17 billion worth of products in 2015 and that makes Canada Illinois' largest export market. Talking about this and more with Newsviews is recently appointed Consul General of Canada John Cruickshank. Canada has a new consul general in Chicago to help sustain the country's trade relations with Illinois.